Walk anywhere around camp and you'll see Hebrew signs. Visit any chug or activity and you'll hear Hebrew spoken. Dine in the hadar (dining room) and you'll find out what's happening from the announcements in Hebrew at the end of the meal. I happened to visit the Ivrit classroom as Moran and Yehuda, a long-time (around 25 years!) Ivrit staffer, were working on a program for our Amitzim edah which is part of the Tikvah program. Moran was planning to teach the Hebrew names for various items of clothing. She wanted to double check that her transliterations were easy to read and that the games she had decided on were the correct level for the campers, with just the right mixture of fun and excitement. The ensuing conversation with Yehuda was fascinating. Should we spell the transliteration this way or that? 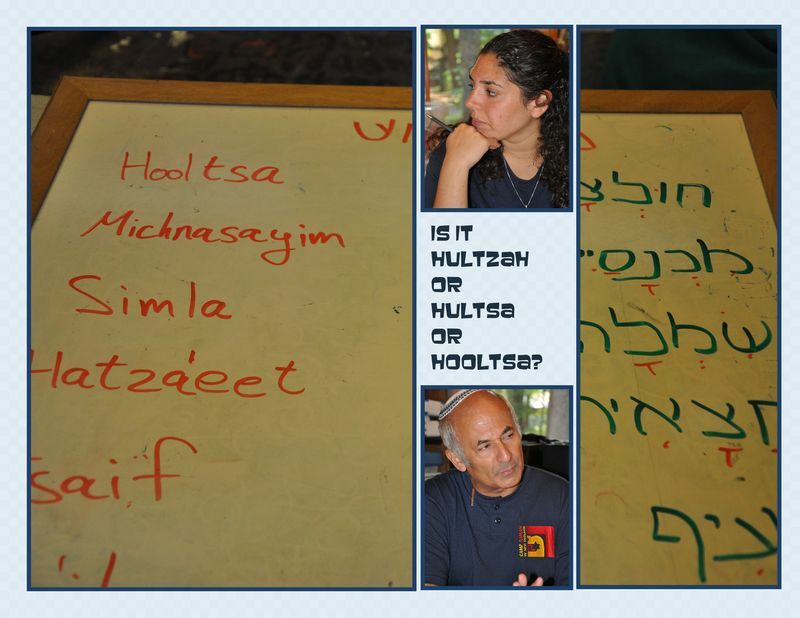 Should we write the transliterations correctly from a linguistic perspective or should we compromise to make them easier to read? Are these the items of clothing we want the campers to learn to say in Hebrew? Is this game too easy or too hard or too long or too short? I stood in the doorway for around 15 minutes, delighting in the subtleties of the conversation and the detailed care that was taken to make sure the program was the very best it could possibly be.